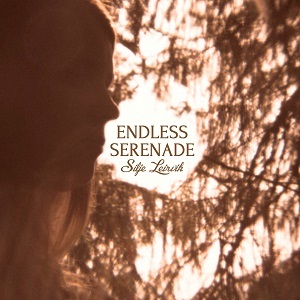 Endless Serenade is the second album from Norwegian singer-songwriter Silje Leirvik. Her first album, "With the lights turned out so beautiful" was only released a year ago, and was more traditional with piano and strings featured. This time though she's gone for a slightly different sound and has used instruments including steel guitar, electric piano, drum machine, drums, mellotron and guitars and by using tape delay machines and other tricks has combined these to create the sound she wanted. It's worked well - the sound is rich and although I'm not usually a fan of drum machines, they've been used very effectively here. The star though is Silje's voice which is excellent. The whole album is good - from the opening track, "Glass of water", to the single "Silver & gold", right through to the excellent "Serenade" which closes the album. It's an album that will appeal to folk fans but also to a wider audience - the rich sound isn't one you'd normally associate with folk, but the songs and vocals certainly have that feel to them. It's ahard one to categorise, but I can say it's an excellent album that's well worth listening to.